To learn more about USANA and all its award-winning supplements, please visit usana.com. "BiOmega is one of our top-selling products, primarily because consumers trust that we have the highest quality omega-3 supplement on the market," says Dan Macuga, USANA's chief communications and marketing officer. 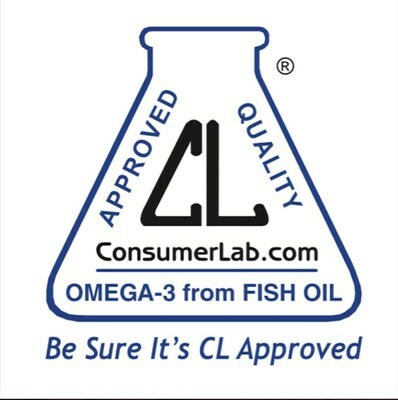 "This seal of approval from ConsumerLab.com only strengthens our claim as an industry leader." ConsumerLab.com is an independent assessor of the quality, purity and label accuracy of health and wellness products. To be awarded a seal of approval from ConsumerLab.com, USANA's BiOmega supplement was rigorously tested to confirm it contains 100 percent of the claimed amount of EPA, DHA and total omega-3 quantity, along with purity testing for heavy metals and dioxins. Along with BiOmega, several other USANA® supplements have been recently certified by ConsumerLab.com, including USANA® Probiotic, Procosa®, USANA® Vitamin D, CoQuinone® 30, USANA® MagneCal D™, Visionex®, Pure Rest™ and Body Rox™. USANA (NYSE:USNA) prides itself in providing consumers the highest quality nutritional products in the world. From its award-winning supplements to its innovative new skincare line, USANA has proven for more than 25 years why it's a company you can trust. How about giving us a try? Shop at USANA.com or learn more at whatsupusana.com.